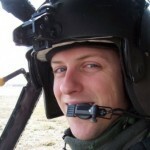 Chase attended US Army Warrant Officer Flight Training in 2005 and was commissioned as a Warrant Officer flying the OH-58D. He completed his BS in Criminal Justice from Troy University, in 2011 while on active duty. Chase served at various levels of Army aviation with multiple deployments and several thousand hours of flight time. Chase is using his MBA studies to assist in his transition to a civilian career. In 2015 he enrolled in Auburn University’s Raymond J. Harbert College of Business full-time EMBA program and will graduate in May of 2017. Chase enjoys helping other veterans reach their full potential and seeing them succeed.